2015 was a great year for Android. Think back to the end of last year – Samsung’s Galaxy S5 left much to be desired, BlackBerry was still making BlackBerry OS phones, and Motorola’s 2014 Moto X, despite its horrendous camera, was one of the best Android handsets on the market. Now flash forward to today and let’s take a look at what’s available. The Samsung Galaxy S and Note lines, while making some controversial sacrifices, really made some huge steps in the design department. Also, BlackBerry created one of the best Android handsets available on the market, and Motorola’s Moto X Pure Edition (aka Style) proved itself to be the perfect marriage of premium and affordability. Many of the OEMs that were struggling to find the right footing last year made tons of progress in 2015. So what happens next? Today we’re going to take a look at what we’d like to see from each major smartphone manufacturer in the year to come. Now that you’ve made some progress, don’t start slowing down. Samsung, at least when it comes to the extremely popular Galaxy S line, would win the award for “most improved OEM of 2015” if we could give that out. Past Galaxy S devices from the company struggled to find a common ground. A combination of bloated software, semi-rugged hardware and a user interface that looked like a child designed it ultimately resulted in a year of poor sales, which contributed to the company making a drastic change. Samsung really came into their own this year with the Galaxy S6. Not only does it boast some killer specs, it’s one of the best looking Android devices – dare I say it – of all time. It’s fast, sleek, and nowadays pretty inexpensive, which is exactly what the company needed to bring its fans – an Android handset with no some compromises that users could actually afford. Those compromises came in the form of Samsung axing the removable battery and expandable storage via MicroSD, which, up until this year, were two features that were a staple in Samsung’s smartphone philosophy. What I don’t want to do is get into the pros and cons of each of these features. We all know which side each of us have chosen, so there’s no use in getting into an argument here. But I think Samsung fans have made one thing clear. These two features are important to many consumers out there, and maybe the company should think about bringing them back. In the case of the removable battery, I’m thinking that Samsung bringing it back with the Galaxy S7 is a long shot. We’ve heard from numerous reports that the S7 will see barely any design changes, and that means we probably won’t see the removable battery return. With that said, I don’t think anyone would be upset if Samsung made the S7 a tad thicker than the S6 if that meant they could include a bigger battery. The S6 measured a mere 6.8mm in thickness, so it might be worth it for the company to add a little thickness. When it comes to MicroSD card expansion, though, we might have some good news! According to a few reports, the Galaxy S7 could launch with expandable storage. There’s really no technical reason why Samsung couldn’t do this, and with as much feedback as they’ve gotten from fans, it wouldn’t be surprising if the company didn’t cave on at least one of these features. According to a report from the Wall Street Journal, Samsung’s Galaxy S7 will in fact bring back the MicroSD card slot, while the Galaxy S7 Edge will not. 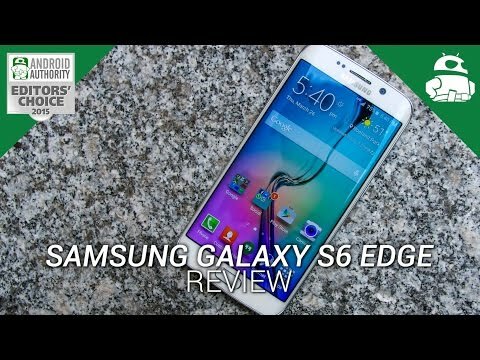 Aside from those few caveats, the Galaxy S6 was a really nice phone. 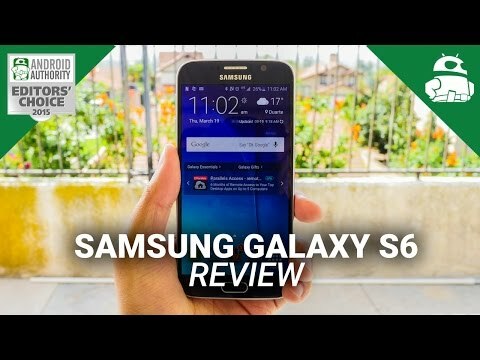 It made a ton of improvements over the Galaxy S5. One of those major improvements was in the camera space. The S6 still has one of the best cameras on a smartphone out there, and that makes me really excited for the future. This is one thing to watch out for in 2016, particularly when it comes to Samsung. Smartphone cameras (especially on Android) have gotten really good, and we probably won’t see that slow down anytime soon. With that said, now is not the time to drag your feet on the camera front. Keep making progress in this space and you’ll develop a more diehard fanbase in no time. You got the hardware right this year, now it's time to focus on software. Another area where the company needs to make some big improvements is in software. At least with the S4 and S5, it seems like Samsung never took into account the phrase “just because you can, doesn’t mean you should.” I’m not talking about aesthetics (which, in my opinion, still need some work), I’m talking about the sheer number of features and extra Samsung apps that I don’t imagine many people use. The Galaxy S and Note lines, even though they’ve been dialed back this year, are still pretty bloated on the software side of things, so it might be in their best interest to dial things back even more. Samsung got the hardware right this year, now it’s time to focus on software. Last piece of advice: Samsung, please fix the issue with the S Pen. I don’t care who’s fault it is or how foolish someone would have to be to put a pen in backwards… nobody should be able to ruin their $700 smartphone this easily. Try innovating on your own next time. I don’t think it’s too farfetched to say that the HTC One M7 was one of the most beautiful Android handsets of all time. An all-metal build, super loud front-facing BoomSound speakers and an enjoyable software experience really set this phone out apart from the pack. At the time, back in 2013, the M7 was in a sea of plasticky, cheap feeling smartphones that didn’t really differentiate themselves from one another on the aesthetic front. Other OEMs took a liking to this design philosophy and decided to hop on board. This resulted in an onslaught of metal-clad smartphones being released in 2014, and in 2015 alike. 2014 rolled around and HTC mostly decided to stick to the same design. Front-facing speakers and an all-metal build were found on the One M8, only in a slightly rounder and more slippery package. All in all, this was a well received device. While not bringing a ton of new design elements to the table, this was a perfect example of the phrase “If it ain’t broke, don’t fix it” actually working in the company’s favor. 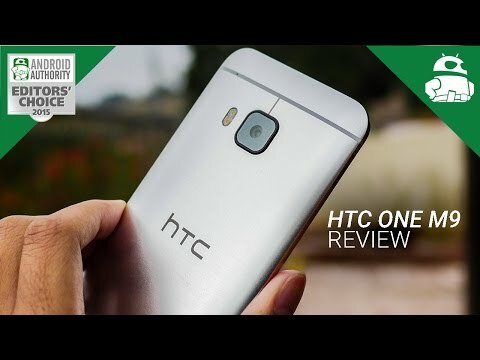 Then in 2015, HTC launched the One M8 One M9. With a design that was a little too similar to the One M8’s (HTC even confused the two in an advertisement), many fans of the One series pointed out that the Taiwanese company was maybe beginning to lose its touch on the design front. Don’t get us wrong, the M9 is a beautiful phone, but it’s just not what the consumers wanted in the end. This similar design coupled with a horrible camera and a lower resolution display than what could be found on other flagships resulted in profit woes for the company. With overall profits declining drastically and employee layoffs aplenty, HTC needed to do something, so it launched an iPhone running Android. In what HTC claims was their design from the start, HTC went back to its “innovative design” roots and created the HTC One A9. With slightly lesser specs than what was available on the One M9, and a design that literally copied the iPhone 6/6S, the A9 didn’t set out to be different. It was created to win back some of the company’s dwindling profits. “Aren’t happy with iOS but love the design of your phone? Try the One A9.” This is essentially why the A9 exists, and that’s disappointing. It’s disappointing because for years, HTC was the OEM you could look to if you needed an attractive, innovative smartphone. Now that’s changed. 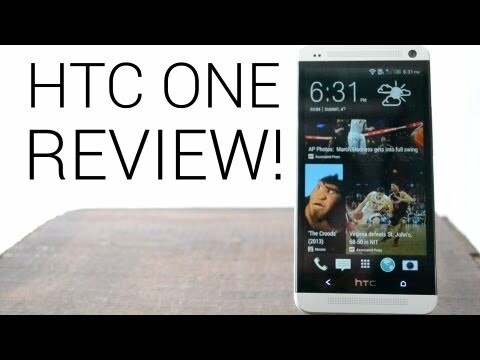 What HTC seemingly doesn’t get is that everybody loved the One M7 because it was different and refreshing. And I don’t think I’m too far off when I say that the One M9 and One A9 are neither different nor refreshing. They’re boring, they’re iterative, and they just don’t bring a whole lot to the table you can’t get elsewhere. That’s all this is about, right? OEMs are trying to make smartphones with features you can’t find elsewhere, and HTC unfortunately did too much copying in 2015 to stay relevant in the high-end smartphone space. With all that said, where does that leave us? In terms of the future, HTC needs to start innovating again. Don’t make another phone that looks identical to another phone on the market. This happened twice in 2015, and it shouldn’t happen again. The M10 (or whatever turns out to be the M9’s successor) needs to look different. It needs to be innovative. For some reason the company thought they completely mastered good smartphone design, and just stopped trying. I’m sure hoping this changes in 2016. Keep up the good work, but don’t bite off more than you can chew. Though it may not be the most profitable company in the world, Motorola has been doing some really interesting things in the smartphone space throughout the past few years. It all started with the original Moto X from 2013, which proved that a smartphone can still be considered high-end even if it doesn’t have the best specs on the market. That mindset bled over to the 2014 Moto X as well, which turned out to be one of the better smartphones of the year, despite its atrocious camera and relatively high price point at launch. Then Motorola did something sort of unexpected. With the launch of the Moto X Style (aka Moto X Pure Edition), the company announced that consumers would only be able to purchase the phone unlocked from a handful of different retailers. Sure, only selling phones off-contract is par for the course with Chinese OEMs that don’t have much of a presence in the United States (ahem, Lenovo), but it was pretty much unheard of for a major U.S. manufacturer to go this route. And to make things even better, the Moto X Pure Edition is cheap, starting at just $399.99 for the base model. For a brand new, unlocked smartphone directly from the manufacturer, this was a killer price, and still is to this day. 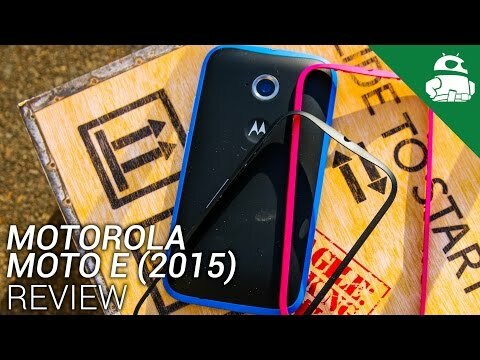 Aside from the Moto X line, Motorola’s Moto G and E lines have seen some big improvements as well. The third-generation Moto G came to market with 16GB of storage, 4G LTE capabilities and 2 gigabytes of RAM, which actually put it in the same ring as some of the higher-priced devices out there. Oh, and Motorola also brought Moto Maker support to the Moto G line, which was a big selling point for the device. Prior to that, the second-generation Moto E launched with a few punches of its own as well. 4G LTE was the norm for all Moto E units, and the budget device also excelled in the battery life department. Of course it’s not all good. Not long ago most of the major OEMs announced which of their devices would receive Android 6.0 Marshmallow, the latest version of Google’s OS. Among the pretty long list of eligible devices, a few notable ones were missing from Motorola – namely all U.S. carrier versions of the Moto X (2014) and all versions of the Moto E (1st and 2nd Gen). The company later updated the list to include the second-generation Moto E in Latin America, Canada, Europe and Asia, but still no sign of any U.S. Moto E variants. This is likely due to carrier trouble in the U.S., but this is still a big deal. 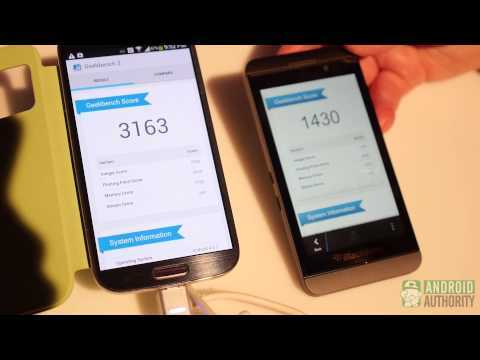 For the past two years, Motorola has made it a point to release timely software updates. In fact, the company even pushed out Android 5.0 Lollipop to the Moto X and G before Google brought it to Nexus devices. That might have been an extremely buggy version of Lollipop, but this still shows the company’s commitment to fast software updates. So what happened? Well, Motorola is now owned by Lenovo, and it’s entirely possible that their priorities have changed. And part of the reason they’re having trouble updating their phones might have something to do with the fact that Motorola released more versions of the Moto X line than we’ve seen in the past. The Moto X Play, Style, Pure Edition, Force, Droid Turbo 2 and Droid Maxx 2 were all released this year, and many of those phones are the exact same, just rebranded a bit differently for different regions. Motorola seems to be having trouble updating their devices, and I’m really hoping that stops in 2016. The company needs to slim their product line down in 2016 so they can focus on what users really care about. It’s okay to have a few devices that hit all the important pricing tiers, but not if they need to stretch themselves thin to do so. They’re losing sight of what made people love their products again, and I hope that doesn’t stay the case for 2016. A more cohesive software experience will make your customers happy. I don’t think I’m too far off when I say that the LG G4 and V10 were two of the best Android handsets produced this year. In some ways, these smartphones surpassed the flagship offerings from Samsung, Motorola and HTC, and I think that deserves some credit. Starting off with the G4, the company’s first flagship of 2015, there’s certainly a lot to like. It might not be as pretty as the Galaxy S6 or the One M9, or as customizable as the Moto X Pure Edition, but LG got a lot right with the G4. It has a really nice Quad HD display that seems to be the perfect size for most people, a powerful Snapdragon 808 processor with which we personally haven’t had many problems, one of the best (if not the best) smartphone cameras on the market, and it has it’s own design language that sets it apart from the pack. Oh, and it employs two very notable features that Samsung’s latest flagships decided to forgo this year – a removable battery and expandable storage. Everything I just said about the G4 is also true for the LG V10. Plus, the V10 comes with dual front-facing cameras, a frame that’s composed of SAE grade 316L stainless steel, a 32-bit Hi-Fi DAC electronic processor, a fingerprint sensor embedded in the rear-facing home button, and it’s the first smartphone on the market to employ Manual Video Mode. Sounds pretty great, right? So is there much wrong with LG’s 2015 flagships? For the most part, not really. LG listens to its customers, and that’s very telling when it comes to some of the features the company packs into these devices. There is one main thing LG needs to work on for 2016, though, and that’s software. More specifically, user interface. LG has struggled to find its footing in the software space since before the LG G2 era. This was somewhat excusable back then, as many companies were having trouble finding out how to make their software cohesive, powerful and attractive. Since then, HTC, Motorola and yes, even Samsung have made some huge improvements in this area, and LG is still playing catch up. The stock user interface on the G4 and V10 is bloated, to say the very least. The icons look too big, blocky and mismatched, almost like they’ve all been compiled from different icon packs. Of course, this is all subjective, but I don’t think I’m alone when I say LG’s software could use some work. This all got slightly better with the G4 and V10, I’ll give them that. But from a manufacturer that can produce such nice hardware, I think we should expect more out of them on the user interface front. LG makes some of the best smartphones available on the market, and now it’s time for the company to load software on those devices that doesn’t look bad. Sony may not be the first manufacturer you think of when talking about smartphone OEMs, but that doesn’t mean the Japanese tech company produces bad products in the slightest. Its flagship lineup for 2015 offered up some great hardware and software, but there’s still a ton of work to be done. Starting off with the best of the best, Sony’s Xperia Z5 Premium has one of the most high-end processors and cameras on the market, and (sometimes) the best display. It’s the world’s first smartphone with a 4K display, sporting an impressive pixel density of 806ppi. Even though the display doesn’t show 4K content at all times, this is still quite a feat for mobile device engineering. On top of the killer display, the Z5 Premium comes with a Qualcomm Snapdragon 810 processor, 3 gigabytes of RAM, microSD expansion, a big 3430mAh battery and a really good 23MP rear camera. And if you aren’t looking to spend upwards of $650 on the Premium, Sony has a few other offerings for you. The Xperia Z5 proper is a smaller, lesser-spec’d version of the Premium. It has a 5.2-inch display, and comes with most of the same specs as the Z5 Premium, only with a slightly smaller battery. And if you’re looking for an even smaller/cheaper option, the Z5 Compact offers a similar experience with lesser specs and an even smaller price point. The Compact comes with the same processor, camera and internals as the higher end offerings, but with, again, a smaller battery and a lower resolution display. The moral of the story is – no matter which of these offerings you choose, you’ll probably end up being pretty happy. 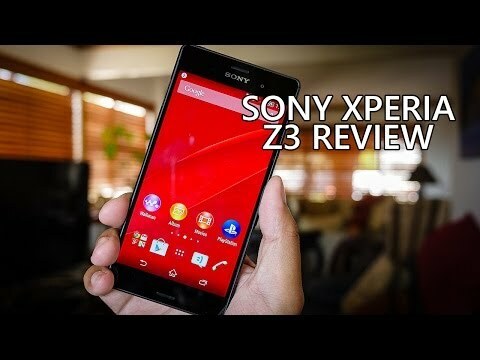 So, if Sony can produce smartphones as nice as the Z5 line, then what’s the problem? Shouldn’t that be enough? Looking back a few years, it was clear Sony achieved “the winning formula” back when the Xperia Z1 first launched. That phone was great – it came with a premium build, top-of-the-line specs and some killer software features for its time. However, it seems as though Sony took the “If it ain’t broke, don’t fix it” mentality way too far. The Xperia Z1 paved the way for similar looking smartphones from the company, and that’s not a good thing. If Sony’s flagship lineup from the past two years was placed in front of one of us today, odds are, you wouldn’t be able to tell the difference between most of them. Sure, you’d probably be able to distinguish the older models from the newer ones, but that’s about it. Sony has not made any notable changes to the design of its flagship products for the past two years, and that’s a problem. From the glass front and back panels, metal edges, button layouts and more, virtually every smartphone in the Xperia Z line is borderline indistinguishable from the others. Consumers want to see change. 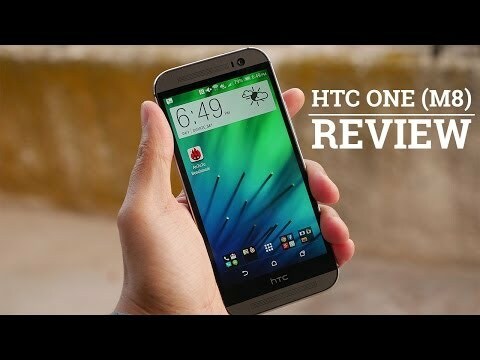 Remember the HTC One M9? It was very similar to the One M8. People didn’t buy the One M9 because HTC didn’t give customers a reason to buy it. We’re seeing the same thing here. Small, minute changes every six months or so with new iterations of the same exact product isn’t going to bring back the die hard Sony fans. It’s innovation that will bring them back, and we haven’t seen much of that over the past two years. There are a few exceptions, however. Sony is the first smartphone maker to bring 4K to a mobile device. This is a really big selling point for the Xperia line and might actually bring some customers back to the company. For 2016, Sony needs to stick with 4K. 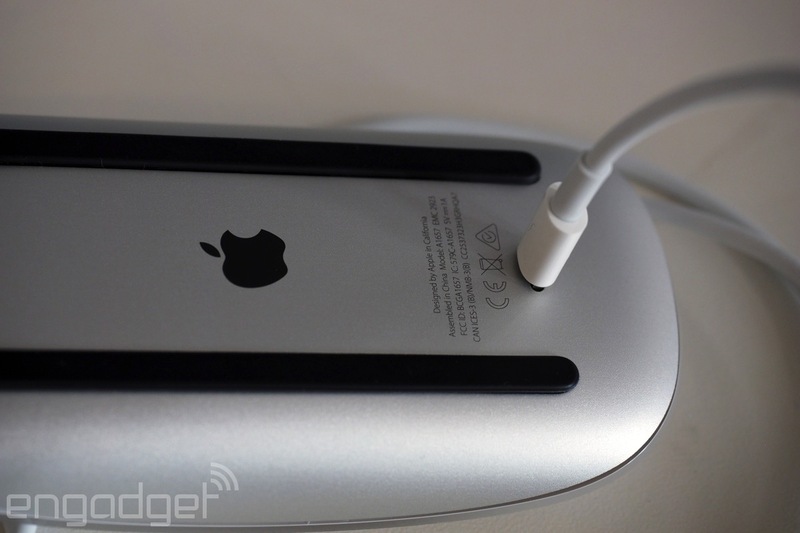 This is the biggest innovation the company has let out the door in the past few years, and they can’t let this one go. Keep improving, keep bringing people in with this technology. You’ve hit your stride, now don’t mess it up. OnePlus has come a long way since it first became a company back in 2013. At the start, it was most widely known for holding sexist and wasteful contests that would give some “lucky” consumers the chance to purchase a OnePlus One, the company’s first smartphone. Since then the company has done a few things to redeem itself, and thankfully has ceased putting on offensive contests. Looking past OnePlus’ horrible marketing strategy, things are much different nowadays. The company has now launched three smartphones, two of which are really good options in today’s market. For starters, the OnePlus 2 is the successor to the company’s One. It sports a big 5.5-inch Full HD display, a powerful Snapdragon 810 processor, 3 to 4GB of RAM, a fingerprint reader and a pretty sizable 3300mAh battery. While it doesn’t come without its caveats (more on those later), it’s still a great bargain at just $329. Then back in October, OnePlus announced a new smartphone that was taking aim at the budget-friendly market. It’s called the OnePlus X, and it’s just glorious. It comes with a 5.0-inch Full HD AMOLED display, a Snapdragon 801 processor, 3GB of RAM, microSD expansion, a great 13MP rear camera, and a metal/glass build that makes it seem like a much more expensive device than it actually is. The OnePlus X can be purchased starting at just $249.99, which is just crazy. It’s one of the best budget devices you can buy right now, and that’s even considering the Moto G (2015) and the ASUS ZenFone 2. 2015 was a year of growth for OnePlus, and I can’t wait to see what comes next. Considering the company has only been around for two years, there’s still a lot for them to learn. It started out making headlines for the wrong reasons, and that’s changed tremendously. OnePlus is small, new and tough, and that’s pretty apparent so far. But it’s almost like the company is so one-sided and big-headed that it makes it seem like there’s no room for improvement. There is, though. Trust me. One of the biggest caveats that comes with buying a OnePlus device is that you might have some trouble actually buying one. At least with newer products, the company puts in place an invite system, in which interested folks can sign up to wait in line for the opportunity to buy a new device. And it makes sense why this is in place. OnePlus can’t produce as many smartphones as their customers want, so instead of having a constant “Out of stock” sign on their website, they control how many units leave the warehouse with the invite system. It’s easy to understand why this is in place, but ultimately, it’s a terrible experience for the user. Please, OnePlus, in 2016, try to get rid of the invite system for good. You’re doing a great job with slowly opening up sales for the OnePlus 2 and the OnePlus X every Tuesday, but axing the invite system for good is definitely something to work towards. Also, we need to talk about bad press. The company may have put the kibosh on offensive contests, but that doesn’t mean there’s no room for improvement. Take, for instance, the launch of the OnePlus 2. Don’t get me wrong, the OP2 is a really nice phone, but it’s pretty clear that this was the most overhyped piece of technology that launched this year. The “2016 flagship killer” is what OnePlus called it, and to be honest, it really struggled to be a 2015 flagship killer. There is such thing as overhyping a product, and OnePlus did just that with the OP2. The OnePlus 2, in 2015, was an Android phone that launched without a few notable features that really stuck out like a sore thumb. It came to market without NFC, which means new mobile payment services like Android Pay would never be available on the smartphone. OnePlus claims that OnePlus One owners “never used NFC”, so it was pointless to put it on the OP2. This isn’t the way the company should be going about deciding which features do and do not make it onto a smartphone, though. I never use the flash on my smartphone’s camera, so would you take that out too? Probably not, because this is a staple to a smartphone camera, no matter how often users actually take advantage of the feature. The same goes for NFC – it’s extremely cheap to put NFC on a smartphone, so just do it next time. Mobile payments are the future, and you’re crippling yourself by not including the proper hardware on your device. All of the features OnePlus left out of the 2 (wireless charging, quick charging, removable battery, expandable storage) would be entirely excusable if the smartphone wasn’t so overhyped. Looking past the completely false “2016 flagship killer” nickname, OnePlus slowly unveiled the OnePlus 2 (and One, for that matter) over the course of a few months, releasing a new specification about every week or so. This was great press for the OnePlus One – which, when it actually launched, exceeded the expectations of many – but the same can’t be said for the 2. I’m not saying the 2 was a bad phone, but it was completely overhyped, and that’s how you let your fans down. Think of OnePlus like Apple – the Cupertino-based company drills it into our minds that they’re the best, and that every product released by them is damn near perfect. But when there are blatant design and user experience flaws in their products, it’s important to hold the company to the same standard in which they keep telling us to. The same can be said for OnePlus. Don’t overhype your products and admit fault when necessary, or users will come down harder on you than ever before. If OnePlus would just stop focusing on making headlines, they might one day be considered a top smartphone OEM rather than the talented, yet troublesome teenager that just needs some direction. Now is your time to make a move! This was a really great year for Huawei. The Chinese smartphone OEM has come a long way over the past two years or so, and we saw most of the company’s progress take place this past year. With that said, there’s still a lot of work that has to be done. Huawei released a handful of smartphones this year – the Mate S, Honor 7, P8, P8 Lite and SnapTo – all of which have very compelling features. The latest handset (or, at least the latest that’s been released to global consumers) to come from the company is the Mate S, which boasts some great specifications, a premium build and a pair of cameras that aren’t too shabby. The Mate S proved that Huawei is capable of producing a great Android handset, at least on the hardware front. The problem is, the company’s software, called Emotion UI (EMUI), still has some catching up to do. It’s not bad, per se, but at this time, it’s just not at the same level as the company’s hardware. And that brings us to the Nexus 6P. This year, Google decided to go with two Nexus devices – one made by LG, the other, Huawei. The higher-end Nexus 6P is pretty widely regarded as the best Nexus device of all time, and it’s certainly one of the best Android smartphones available on the market. So what makes this phone so special? A couple of things. For starters, this is the first Nexus handset produced by a Chinese manufacturer. It’s also the first Nexus to be produced by a company with a small presence in the United States. Taking the wonderful build quality of the Mate S into account for a moment, it’s no wonder why, in combination with Google’s stock Android, the Nexus 6P is proving to be the best Android device around. So why isn’t the Mate S as compelling as the 6P? One thing stands out, and that’s software. EMUI isn’t bad, it just needs a little reworking. A few of the features seem a tad half-baked, and nothing really looks like it belongs together. Aside from just UI woes, though, Huawei has never really been all that great at pushing out timely software updates. This is an area in which more and more manufacturers are putting focus, and it’s time for Huawei to do the same. This is a really important time for Huawei. Now that they’ve successfully created their first Nexus device, more folks around the world (and especially in the U.S.) are taking notice. We’ve already heard a few reports stating that the company plans to bring the Mate 8 and a few other devices to the U.S., so it’s important that the company does everything with caution. As long as the cost of their smartphones stay low and they get better at software updates, I really think Huawei could make a lot of progress in 2016. Keep making Android phones. Keep improving on those Android phones. Before BlackBerry released the Priv, it was clear that the company’s only real mobile presence was geared towards the workplace. The company has really done mobile security right in the past, and that’s why it’s perfect for enterprise customers. Security is one of the only benefits to choosing a BlackBerry OS device over an Android or iOS device, though, which is why the company decided to do something different – something that we really didn’t expect them to do. BlackBerry launched its first Android-powered handset in 2015. The Priv, which stands for privilege and privacy, proved to be much more than a standard Android handset. For starters, it was the first Android flagship smartphone in years to sport a physical keyboard. It also boasted a mostly stock version of Android, a really nice camera, and an all around premium build. For the most part, BlackBerry made a killer Android smartphone on its first try. In fact, it was one of the best smartphones released in 2015. The fact that the company can release a solid Android offering without ever having made one before shows us that there’s still tons of potential for the former top dog of the smartphone world. With that said, there are still some things that need improving. In our full review, we told you that the Priv missed the mark on a few things that would have made it the best Android smartphone of 2015. For instance, the powerful Snapdragon 808 processor was bogged down by the lack of software polish, and BlackBerry’s own applications needed to be updated to better suit the consumers’ needs. In addition, battery life proved to be only slightly above average, the camera was missing a few notable features and there was no fast charging on board. Aside from these caveats, there’s only one thing that stands in the way of more customers buying the Priv, and that’s pricing. Over the past year or two, we’ve seen more and more smartphone manufacturers diminish the price of their smartphones, making it easier for consumers to buy unlocked (without a contract). Google with the latest Nexus devices, Motorola with the latest Moto X line and many others are now selling their smartphones directly to consumers, which means there’s no carrier intervention. 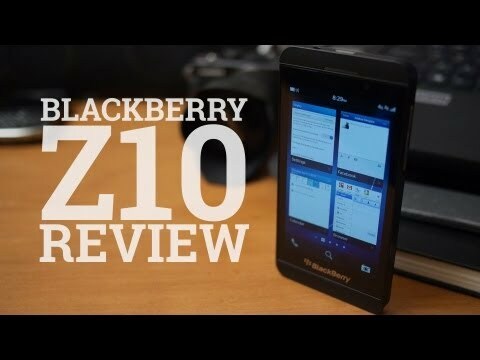 This is a very good thing, but it seems as though BlackBerry isn’t following suit quite yet. If you want to purchase a BlackBerry Priv unlocked, you can do so for a hefty $699.99. To be honest, this is way too much money for what the smartphone offers its users. Overall, the Priv seems like an unfinished smartphone. That’s fine, but then it needs to be sold at a lower price point. It’s BlackBerry’s first time making an Android phone, though, so I’ll give them a pass. But next year, I think I can speak for everyone when I say that I’d like to see a sub-$500 flagship in 2016. I don’t want BlackBerry to stop making Android phones. They’re really good at it. But in order to sell more units, they need to polish the software experience and lower the price point. So, what are your thoughts? Is there anything you’d like to see from these manufacturers in 2016? Let us know your opinions in the comment section below!